mAh per display square in. 208mAh/sqrin. 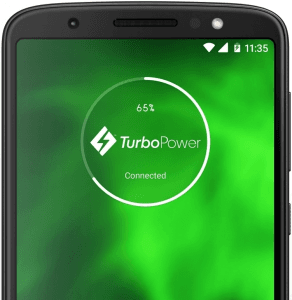 Also known as Motorola Moto G 6th Gen, the Moto G6 curiously forgoes NFC (Near Field Communication), which most of its middle-class rivals offer, while it hops on the dual camera bandwagon with its 12- plus 5-megapixel dual-lens system, which is complemented by a dual-LED flash. That being said, it comes with a reasonable (for a mid-end phone) 4GB maximum RAM alongside its 1.8GHz Snapdragon 450 eight-core processor. 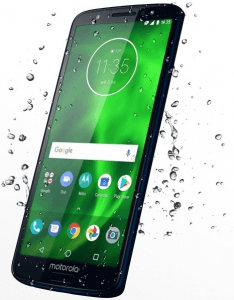 Also known as Motorola G6, Motorola Moto G 6th Gen.
Pros and Cons Review While it awkwardly lacks NFC support and has a middle-class eight-core processor, the Moto G6's dual camera (12- and 5-megapixel lenses) and 4GB RAM wind up as favorable specs in our book. More on its pros and cons after the jump. (more) Latest Motorola See all the newest Motorola phones.